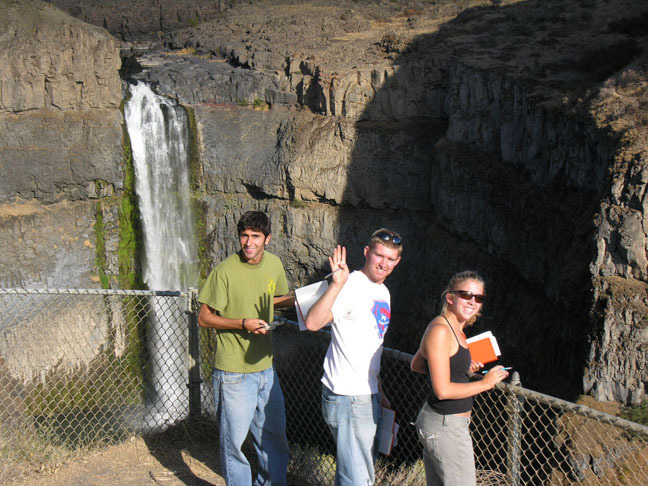 The Columbia Plateau is a physiographic province, part of a continent with somewhat similar rocks, landforms, soils, climate, and vegetation. 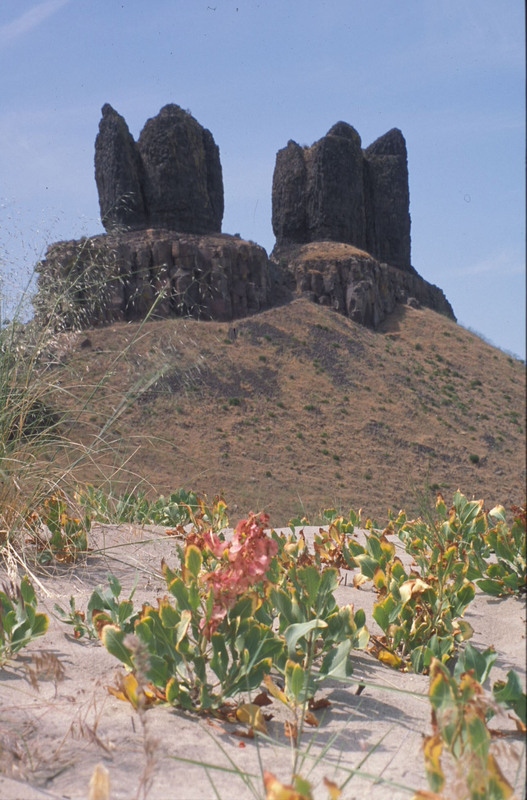 The rocks are mostly basalt; the landforms are chiefly caused by erosion and deposition by jökulhlaups, but also by streams and the wind; the soils are thick on loess (windblown silt) and immature to non-existent on sand, gravel, and basalt; the climate is arid (with as little as 20 cm annual precipitation); the natural vegetation is sagebrush shrubland and short-grass prairie. 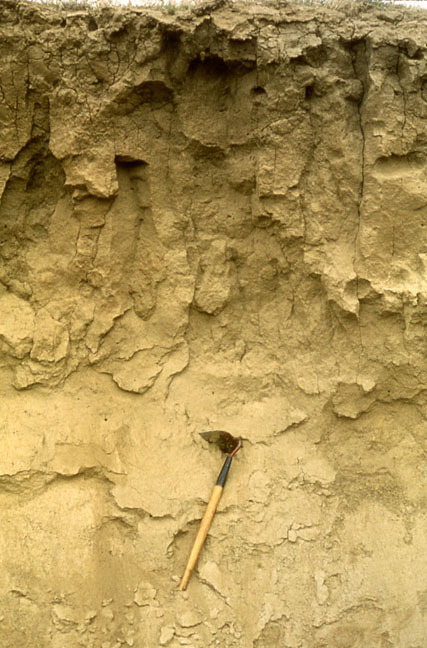 In the Blue Mountains are a wide variety of Phanerozoic rocks, predominantly late Paleozoic - early Mesozoic exotic terranes, late Mesozoic granitic intrusives, and Tertiary volcanics. 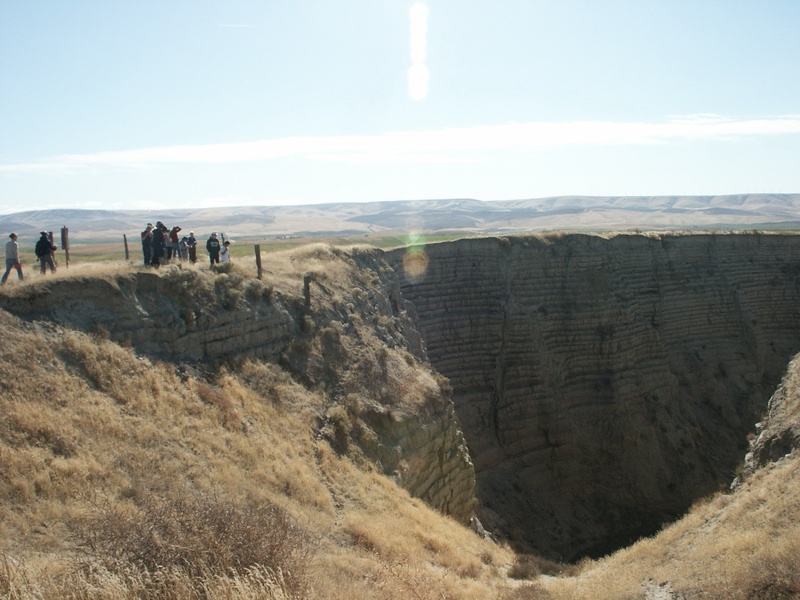 Most of the Miocene basalt flows, which total as much as 3 km thick in the Walla Walla Plateau section, originated in the Blue Mountains, where there are long dikes. 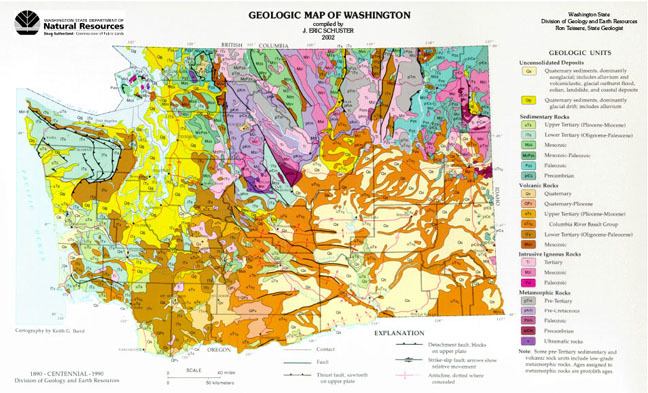 The Cordilleran Ice Sheet originated in the mountains of British Columbia and expanded southward into northern Washington, Idaho, and Montana. 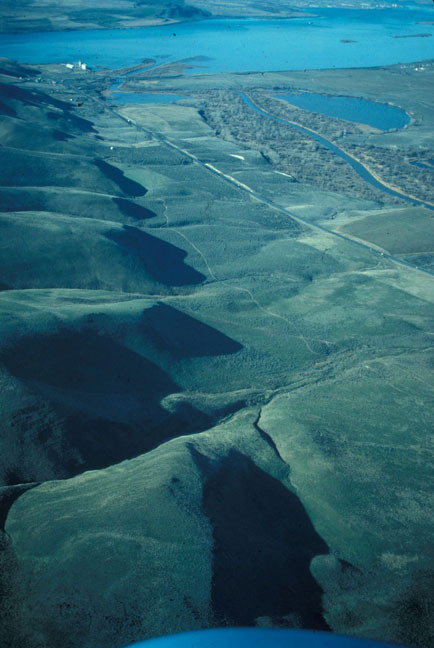 Of particular significance to the landscape of eastern Washington was a lobe of the Cordilleran Ice Sheet which flowed along the Purcell Trench and blocked northwest-flowing Clark Fork River near Cabinet Gorge on the Idaho-Montana border. The ice dammed Glacial Lake Missoula (Pardee, 1910), which covered 7800 km2 of western Montana and held 2000 km2 of water; at the ice dam the water was approximately 600 m deep (Weis and Newman, 1989). The ice dam failed repeatedly, releasing jökulhlaups which swept across northern Idaho, through Spokane, southwestward across eastern Washington, through the Columbia River Gorge, and out into the Pacific Ocean. 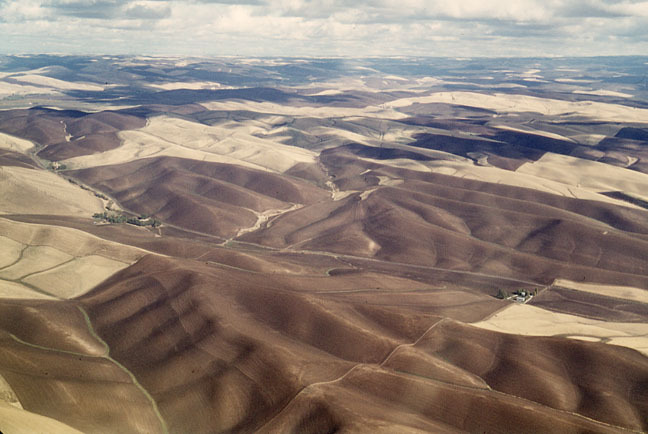 In eastern Washington the floods created the Channeled Scablands, an area of intense study by J Harlen Bretz in the 1920s (Baker and Nummedal, 1978).